The question now becomes, “Is there a definitive set of rules that govern how characteristics may or may not be combined without violating the analogy of the Story Mind?” Let’s find out. The first thing we notice when examining the Motivation Characters is that there is never an instance where a Character contains both characteristics in a Dynamic Pair. This makes common sense: “One cannot serve two masters.” Essentially, how can you be AGAINST something at the same time you are FOR it? So, our first rule of combining characteristics is: Characters should never represent more than one characteristic in a Dynamic Pair. Can’t Serve Two Masters at the Same Time…. Sounds good, but what if you want to create a Character who represents one view and then the other. For example, if you had a one-woman show, you would need to combine ALL 16 Motivation characteristics into one person. This is accommodated by the difference between a character and a player. In a one-woman show, even if it is a single story argument, there might be a multitude of characters but only one player. The key to keeping them separate is that the player changes from one character to another, never simultaneously portraying more than one, such as by donning different apparel or adopting a different voice. In light of this additional information we add a second rule of thumb to our first: Players should never represent more than one character at a time. In truth, there are many valid reasons for combining opposing characteristics in one body. An example is Doctor Jekyll and Mister Hyde. As Jekyll and Hyde, this player has a split personality representing, in effect, two Characters in the same body. Dramatica sees a player as a shopper filling a grocery sack full of characteristics. You can select whatever you want, as long as you don’t put in both Elements of a Dynamic Pair. You can also carry as many bags as you can handle. But wouldn’t a fixed grouping of characteristics prevent a Character from growing? For the answer, look back at what these characteristics really are. They are the problem-solving processes within the Story Mind seen Objectively. They are Objective Characters. Objectively, characters remain the same; it is Subjectively that they grow as points of view change. In a sense, the Objective nature of characters describes their innate disposition, in which no changes can be made. The Subjective nature of characters describes their learned behavior, which is what can be evolve in the course of a story. What does all this mean in a practical sense to us as Authors? First, Dramatica tells us there are only 16 Motivations to spread among our players. If we use the same characteristic twice, it clutters our story. If we neglect to employ one, there will be a hole in our story’s argument. 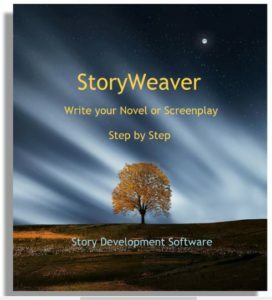 Finally, we have a great deal of flexibility to create unique and memorable characters while fulfilling all the requirements an audience will look for in a Story Mind. As an exercise, let’s take a look at how the Motivation characteristics are represented and combined in some familiar well-written stories. Why don’t we tackle something simple like Gone With the Wind. “Simple?” you say. In terms of thematics, Gone With the Wind is an extremely rich and complex story. But in terms of the characters, GWTW is no more complex than any of the other stories we have analyzed so far. Let’s see how. A list of the most notable Characters might include: Scarlett O’Hara, Rhett Butler, Ashley Wilkes, Melanie Wilkes, Scarlett’s sister Suellen, Frank Kennedy, Scarlett’s father Gerald O’Hara, and Prissy. Taking them one at a time, we can see the stuff they are made of. Intuitively, we sense that Scarlett and Rhett are the two most important characters. Looking at the 16 characteristics, Scarlett is clearly Pursue. She pursues Rhett, she pursues Ashley, she pursues the tax money, she pursues a fortune. She is motivated to get people to consider things they normally would not. Based on this analysis we will call Scarlett PURSUE and CONSIDERATION. Rhett, on the other hand, spends most of his time avoiding. He avoids getting involved in the war, and by his contraband dealings he avoids financial hardship. He avoids Scarlett’s advances, avoids the firing squad, avoids paying her the tax money, and on and on. Nonetheless, it is Rhett that continually urges Scarlett (and everyone else) to reconsider their actions. So Rhett comes down as AVOID and RECONSIDERATION. Comparing Scarlett to Rhett, each contains one action characteristic and one decision characteristic. Solely in terms of Motivations, Scarlett and Rhett are Archetypal Protagonist and Antagonist. There is little to disguise Ashley’s effect as TEMPTATION upon Scarlett. Just because he never actively tempts her does not diminish his actual temptation value. And this is a good point to file away for later: A character does not have to actively or even consciously employ a characteristic to represent it.Looking for Ashley’s physical characteristic, although it is not strongly drawn, we find him to be HINDER. Now since his physical self is designed to be the source of Scarlett’s temptation, Hinder has been down-played to make him more attractive. Nevertheless, he repeatedly jeopardizes Scarlett’s situation. Temptation and Hinder make Ashley a Contagonist. Melanie, in complement to Ashley, is CONSCIENCE and HELP. She continually tutors Scarlett in the “correct” morality, simultaneously cleaning up the real world messes that Scarlett leaves in her wake. Melanie is forever smoothing ruffled feathers and it is she who handles the hiding of the Yankee renegade soldier that Scarlett shoots. Conscience and Help make Melanie the Guardian. It is interesting to note the Character pairings designed into this story. Scarlett (Pursue and Consideration) is paired with Rhett (Avoid and Reconsideration). Ashley (Temptation and Hinder) is paired with Melanie (Conscience and Help). Obviously, Margaret Mitchell had an amazingly intuitive sense of where the dramatic potentials lie. (But then, we knew that already, didn’t we?) Let’s see if this pattern continues. Scarlett’s screaming sister Suellen plays nicely as FEELING and UNCONTROLLED, making her the Emotion Character. Her choice of husband, Frank Kennedy (who is snatched by Scarlett) is again, an opposite. Kennedy, by virtue of his steadfast business development and religion of practicality defines LOGIC. And also by virtue of his steadfast business development and resistance to diverging from his plans demonstrates that he represents CONTROL (restraint). Kennedy fits nicely as the Reason Character, again, in a complementary posture to his intended bride. Finally, we reach a most telling pair. First, we perceive Scarlett’s father Gerald O’Hara has FAITH. He believes that a war will never happen, then believes the South will win. Even when they have already lost he won’t give up his faith. He goes into a fantasy world rather than admit his faith is in error. On the flip side, he constantly OPPOSES Scarlett’s wishes. In the opening scene, Scarlett wants love but her father is pushing real estate. After the fall, he keeps jumping in with inane comments about the way Scarlett is handling the house. Consistently (albeit gently) he opposes her. Prissy, on the other hand, has no faith at all. She is absolutely convinced that no matter what the situation, the worst will happen. She is a DISBELIEVER pure and true. And yet, she SUPPORTS Scarlett in every self-serving endeavor she instigates. As with other characters we have examined, Mr. O’Hara and Prissy have swapped characteristics, this time between the Skeptic and Sidekick. They are a complementary pair. This is a wonderful twist from a thematic standpoint, pairing and swapping characteristics between a rich white landholder and a poor black slave. If there is anything that can be seen as “typical” about a Hitchcock film it would be his forefront use of thematics. Rear Window is no exception. As with Gone With the Wind, the enjoyment of the story comes largely from what happens between the lines. But unlike GWTW, the characters in Rear Window are relatively complex. At first glance, it may seem that there are quite a few characters, what with the neighbors and all. There’s the Composer, trying to sell his first hit song. There’s Miss Lonely Heart, who can’t get a date. We see a lot of Miss Torso who exercises in front of her open window. Upstairs is the Couple With the Dog, downstairs, the Sunbather. And, of course, Thornton the murderer. The purpose of characters is to show how aspects of the Story Mind deal with a problem. And this is what determines that the neighbors are not Objective Characters. Aside from Thornton, they all have their own little stories, but only interact with each other peripherally, if at all. 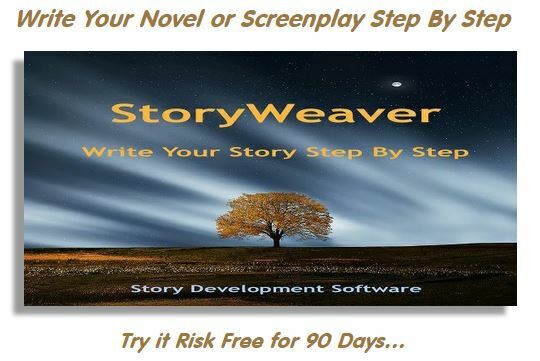 Their private stories enhance the thematic atmosphere of the overall story but neither advance nor clarify the plot. If we eliminate all the neighbors who do not interact, we pare our list down to five actual characters: Jeffries, Lisa, Doyle, Nurse, and Thornton. If Rear Window is well written, we would expect all sixteen motivation Elements to be distributed among these five. Let’s see if they are. Who represents FAITH? Unquestionably Jeffries. He maintains his belief that a murder has been committed in the face of objections by each of the other characters. Lisa can’t talk him out of it and neither can his Nurse. Thornton denies it by his actions and Doyle is not convinced until after the proof is irrefutable. In fact, Doyle personifies DISBELIEF, even while HELPING Jeffries gain information to which he would not otherwise have access. Lisa comes around to accepting the possibility and so does Nurse. Thornton already knows the truth, but Doyle is never convinced until he sees the proof with his own eyes. In addition, Doyle relies on LOGIC to support his disbelief. He will not accept Jeffries’ contentions without logical arguments. Then is Jeffries FEELING? No. Jeffries does not disregard Logic in his considerations; he merely can’t supply it. Jeffries urges the others to CONSIDER what he knows and what he suspects. Lisa, on the other hand, continually acts on impulse without regard for logic, illustrating nicely the characteristic of FEELING. If Jeffries is CONSIDERATION, we would expect his nemesis, Thornton, to cause RECONSIDERATION, and he does. Thornton’s apparently guilt-free actions are a constant force that urges Jeffries (and the others) to RECONSIDER. All we ever see of him is that he acts methodically to carry out his plan, whatever that might be. It is his methodical approach that makes Thornton the CONTROL Character as well. He wastes no time or energy on anything but the task at hand, whereas Jeffries dabbles at whatever fills his view, even when it interferes with his goal of getting the goods on Thornton. Jeffries plainly illustrates the Element of being UNCONTROLLED. Even though Lisa SUPPORTS Jeffries in his quest, she manages to HINDER his efforts through distraction and re-direction of their conversations. She clearly TEMPTS him to give up PURSUING this crazy scheme. In contrast, Jeffries’ Nurse OPPOSES his efforts, even while providing a moralistic philosophy or CONSCIENCE to his every comment. And, of course, Thornton would prefer to AVOID the whole thing. If we take a slightly different form, we can arrange the five Characters as column headings and list their characteristics beneath them. Using the grid above we can predict the principal conflicts of Rear Window simply by noting which characters are in Dynamic (diagonal) positions and the issues (Elements) over which each pair will diverge. In summary, the set of sixteen Motivation Elements offers a valuable tool for understanding some of the essential building blocks of Objective Characters and how they can be distributed to create both Archetypal and Complex characters.